I seemed to have got imaginations stirring with my photo of the chimney. Sadly there was no romantic, mediaval, or goblins tale to tell. Below – Jeanette again – this is the house that was boarded up and you took a photo of the window. This house is a block away from the first one and on the sea front. It also was a beautiful old thatched roof home. 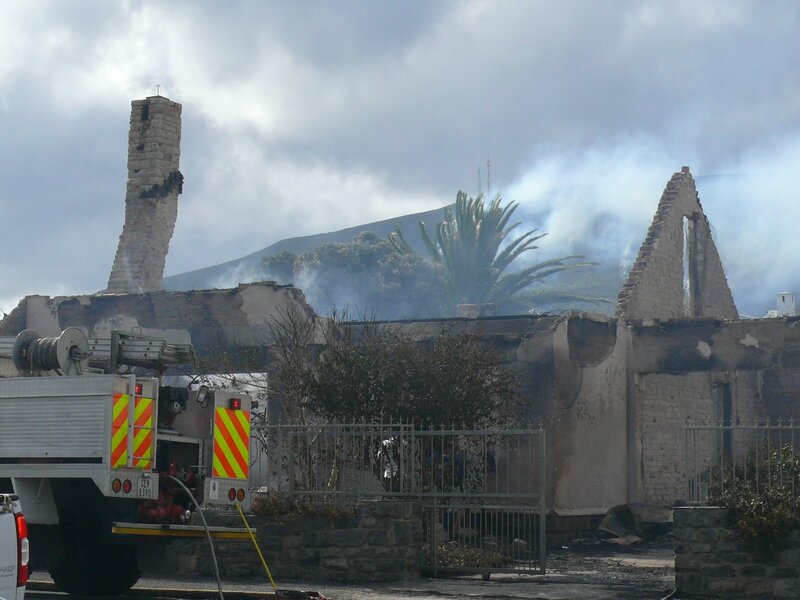 There was also no-one in the house at the time of the fire. The next photo is across the road which runs in front of the house pictured above. 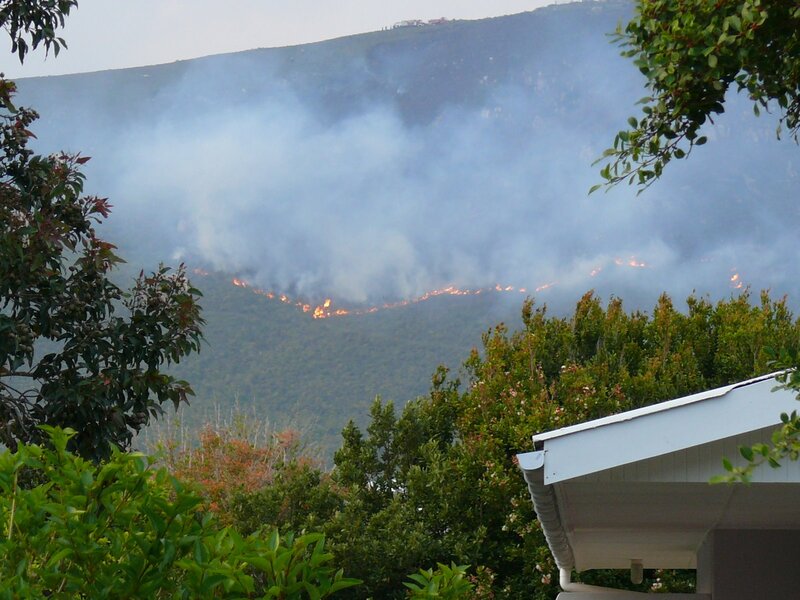 The mountain ablaze – photo taken from my brother and sister in law’s home – the fire vehicles are visible at the top of the mountain ..
A year later – when we were there last month – it was so nice to see that the fynbos (indigenous vegetation) has recovered well. There are still vast areas of blackened bushes but in-between the new growth is visible – green with pretty little flowers. On the way to the church, where we had my father-in-law’s memorial service, I noticed a bunch of red poppies growing amongst the blackened bushes – and I didn’t have my camera! 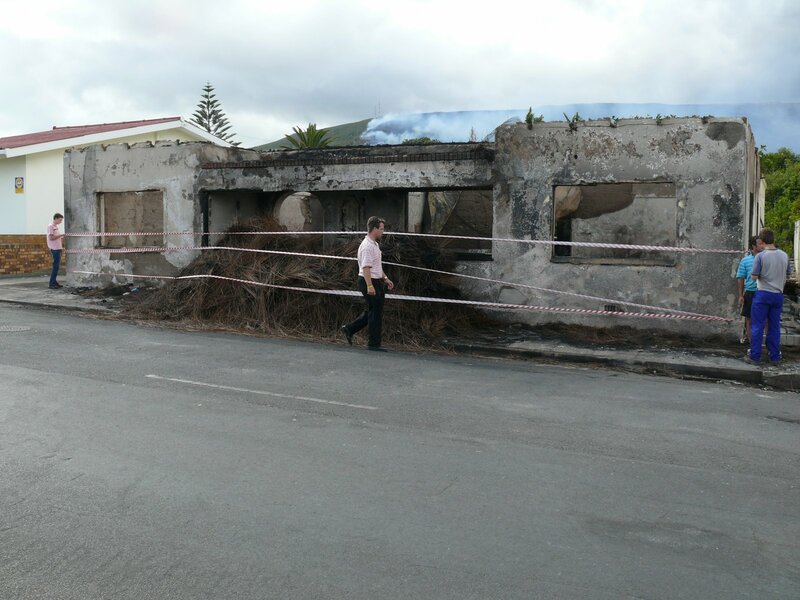 I know Fynbos needs fire every 10 to 15 years to regenerate, but fires in the Western Cape is a huge problem. One often wonders how many are from natural couses and how many are started on purpose. What a tragic situation…those poor people who lost their homes.Good photo’s…and I would never have guessed the story behind yesterdays entry.Pity you didnt have your camera, those red poppies would have made a magic photo. Oh how sad! 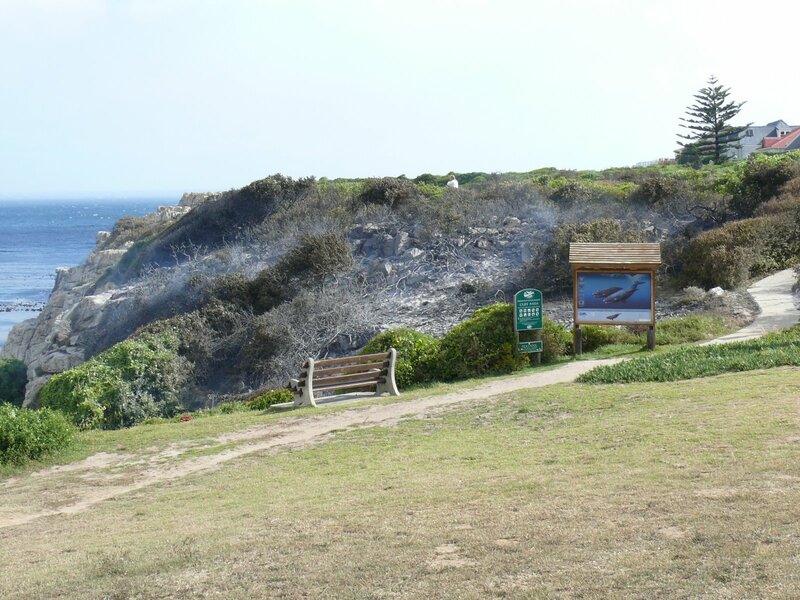 It was a good photo though – and no sign of the fire-engine in the original post. Well, that was a brilliant photo, no wonder you wanted me to see the house!